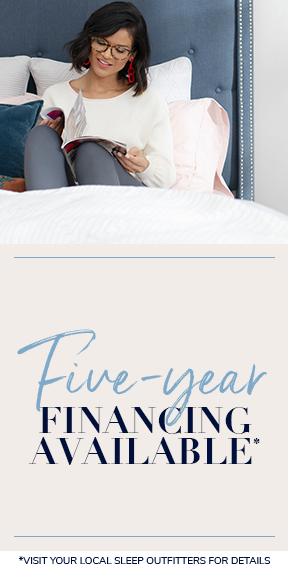 We know how much care you put into designing your bedroom - so we put the same care into designing your mattress. Every layer. Every stitch. Every detail. Crafted to complement your style. Design, Comfort, and Quality Craftsmanship in every collection. A stretch-knit covering featuring Tencel ™ wicks away moisture, and our exquisitely supportive IntelliCoil ® Micro HD layer delivers exceptional comfort and support. 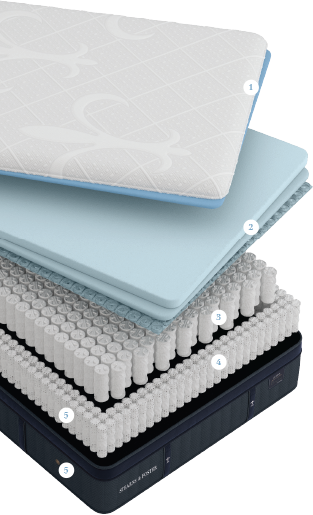 A plush layer that features our Indulge HD Memory Foam and IntelliCoil ® Micro* to deliver long-lasting support and comfort. 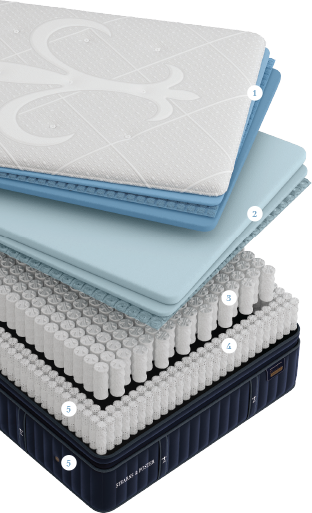 A nested coil design provides even more adaptive support for every type of sleeper. 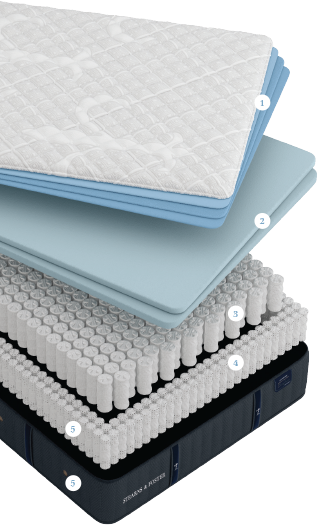 A high-density coil border provides durable edge support to ensure your mattress holds its shape. 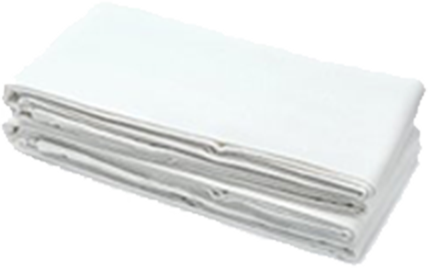 Ventilated coil system works with external air vents to increase breathability and promote cool, comfortable, deep slumber throughout the night. A stretch-knit covering featuring Tencel ™, a sustainably sourced fiber used in athletic wear, designed to wick away moisture and keep you comfortable. 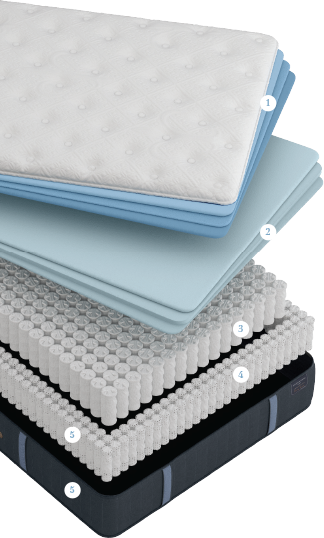 A plush layer that features our exclusive Indulge Memory Foam* and delivers a comfortable feel, plus premium pressure relief for all-night support. Our patented coil-within-coil design allows sleepers of all body types to find their perfect level of support. 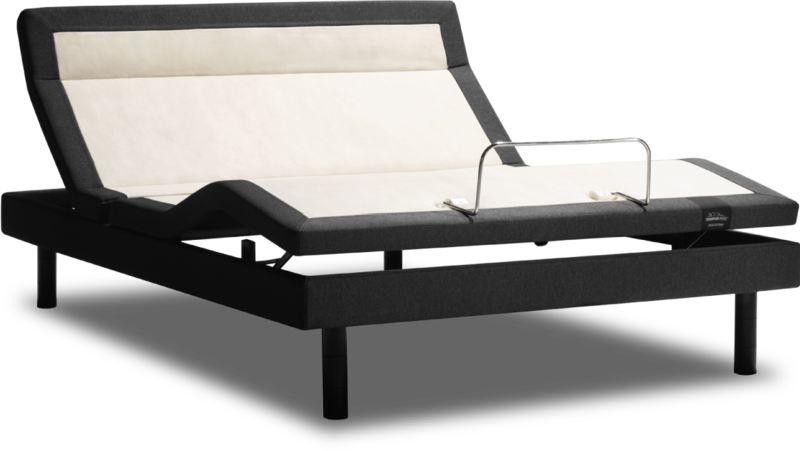 Experience Stearns & Foster ® indulgent comfort with a foundation or power base crafted to fit your lifestyle.